Luis Chavez is a System Administrator with 5+ years' experience writing tech guides for end users. Luis holds a BS in Computer Science. One of the greatest advantages of owning a Google Home Hub is controlling as many smart devices from a single unit using voice commands. However, what do you do when you want to adjust the Home Hub settings without voice commands? You use its hidden settings, of course. It might not be the most common way to do it, but these hidden settings come in handy when there's a lot of background noise or you just don't want to talk to the assistant. Tap the Google Home Hub screen and swipe up. 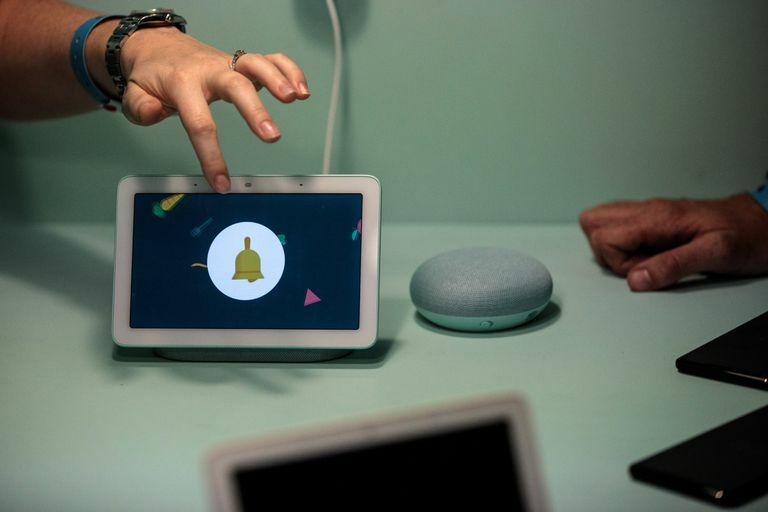 Once the hidden settings show up, you can use them to adjust the settings on your Google Home Hub, including brightness, volume, Do Not Disturb, and Alarms. Tap the Gear icon in the far right to access other information like Wi-Fi, license information, device version, etc. Tap the Brightness icon on the far left. Swipe the brightness bar at the bottom of the screen to adjust the brightness accordingly. Tap the Volume icon second from the left. Swipe left or right on the volume bar to adjust the volume accordingly. Tap the icon in the middle in order to enable Do Not Disturb; the setting is enabled when the icon is blue. Tap the same icon to disable Do Not Disturb. Tap the Alarms icon second from the right. Once in the alarms menu, tap the Plus (+) to create a new alarm. Swipe up and down on the hours and minutes to set the designated time for the alarm, then tap Set to create the alarm. If there is already an alarm that you want to edit, just tap on it and modify the time.